Infused with your favorite chocolate hazelnut spread and enhanced with hazelnut meal, these cookies pack a nutty punch. 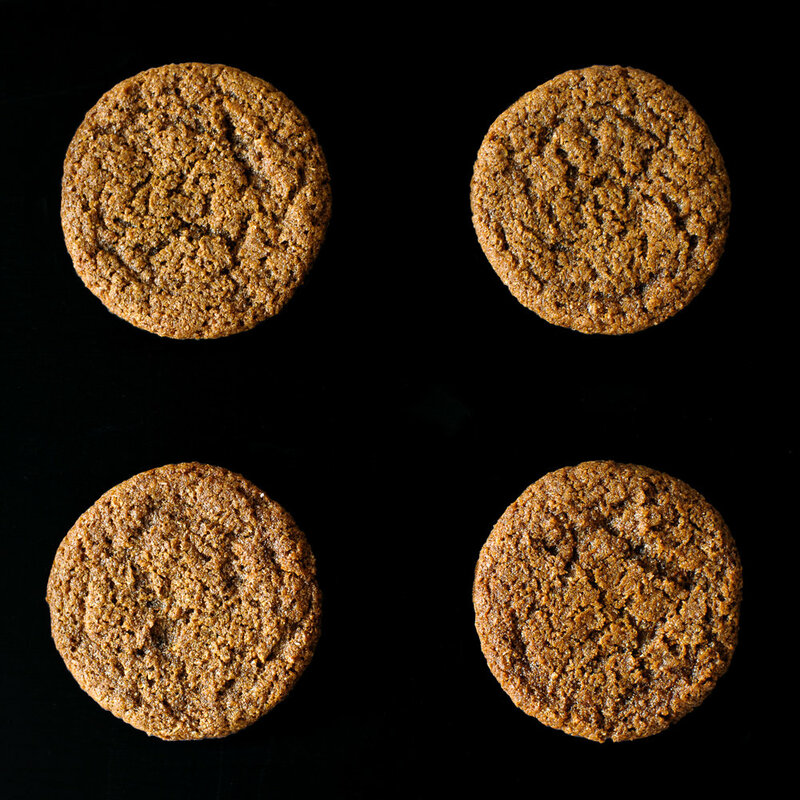 Think soft gingersnap…a cookie you can sink your teeth into that will leave you feeling warm and fuzzy. Pairs very well with hot apple cider. Imagine a taller, grown-up version of the oatmeal raisin cookie. Chopped dates provide a natural sweetness in these shortcake-like treats. It's true: these taste great no matter your dietary inclination. It helps that they’re made with fresh-ground roasted peanuts. These cookies are approximately 2 inches wide. Soft in the center and crispy on the edges with an extra something nutty and warm. Cocoa nibs are added for extra texture. These cookies are approximately 3 inches wide. These cookies give you all the textural experiences you’d want in a classic chocolate chip cookie, without any dairy or eggs. Chewy and crispy at the same time! People never believe they’re actually vegan.